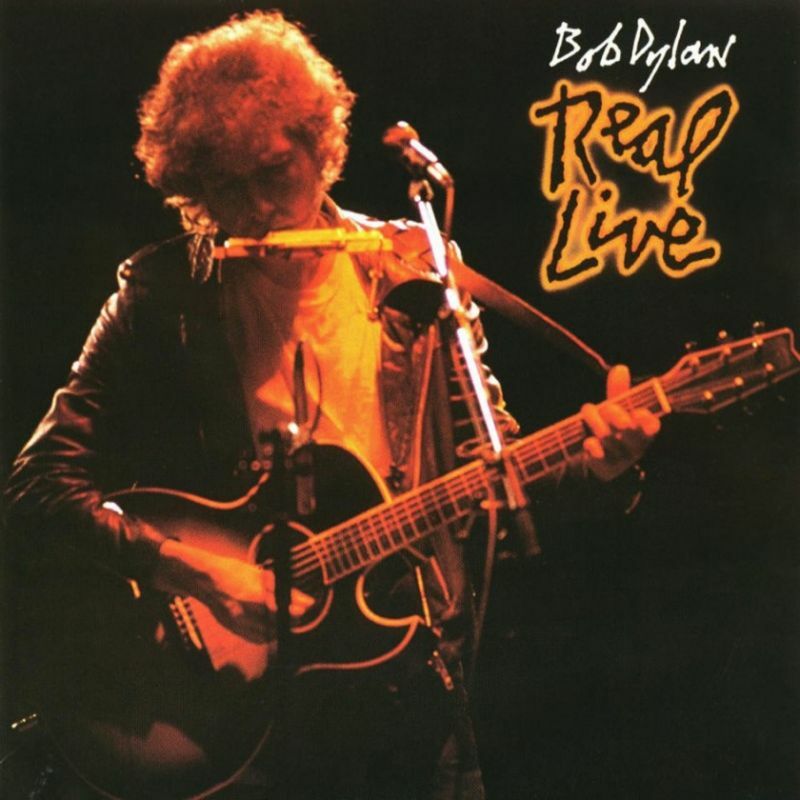 Real Live is a live album documenting Bob Dylan’s 1984 tour of Europe, released at the end of that same year by Columbia Records. 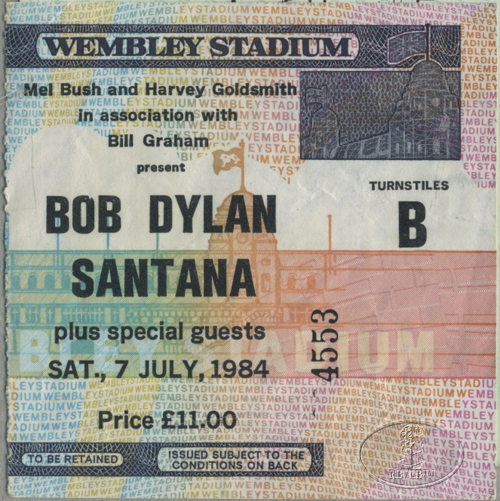 Most of the concert was recorded at Wembley Stadium on 7 July, but “License to Kill” and “Tombstone Blues” come from St James’ Park, Newcastle on 5 July, and “I and I” and “Girl from the North Country” were recorded at Slane Castle, Ireland on 8 July. Produced by Glyn Johns, it features Mick Taylor (formerly of the Rolling Stones) on lead guitar, Ian McLagan (formerly of the Faces) on keyboards, and a guest appearance from Carlos Santana. The performances on Real Live were recorded in support of his successful Infidels album. While Infidels was hailed as a “return to musical form” (as described by Kurt Loder in Rolling Stone magazine), critical reception for Real Live was generally mixed. Released in December to capitalize on the Christmas shopping season, Real Live still sold in disappointing numbers, reaching a then-career low of #115 in the US and #54 in the UK. Tangled Up In Blue (Real Live):Dylan’s fourth live album…. 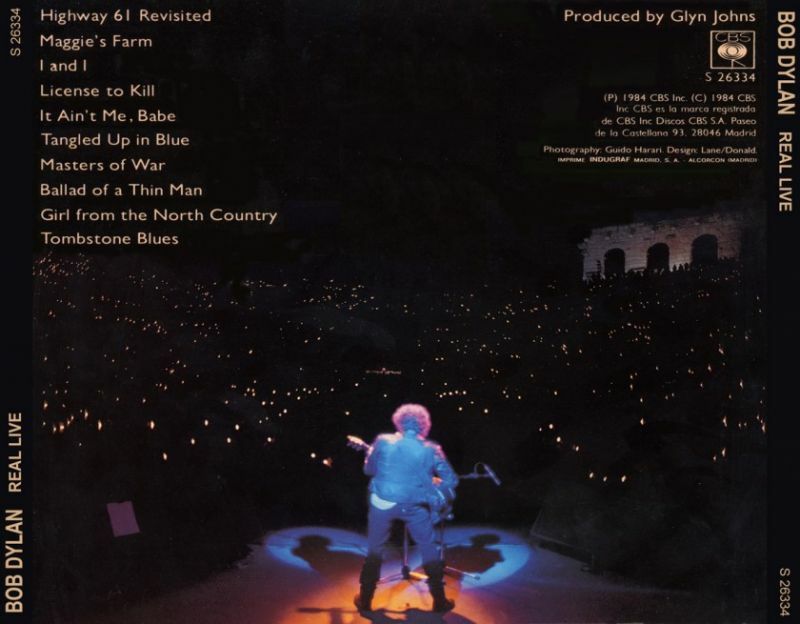 you could hardly offer a worse live album from Dylan’s 1984 tour of Europe than this. The choice of songs is hopeless, the choice of performances injudicious, the production inexcusably murky. How did the supposed ace-producer Glyn Johns manage this? At the very least, Dylan’s expensive, classy guitar should have a good sound. 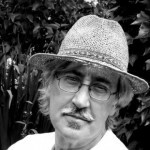 Dylan’s major re-write of ‘Tangled Up in Blue’, featured prominently and exclusively on this tour, is included—but represented by a swaggering, mannered, unfelt performance. There were far finer moments than this. The Barcelona concert is generally judged outstanding. The album waywardly misrepresents this tour in particular and the whole glory of Bob Dylan in live performance generally. ….a lovely, grace-filled acoustic performance of “Girl from the North Country,” from the July 8 concert at Slane. This is sweet, naked, and very affecting. It is not, I might argue, great art, because although it is heartfelt it does not go down to the deep place where new and unexpected feelings burst through. Perhaps it is Dylan’s very concentration on opening and sharing himself that, paradoxically, keeps this from happening. No matter. It’s still a wonderfully intimate performance. All songs by Bob Dylan. Agree with the earlier commenters. The album as a whole is disappointing, but the version of TUIB is superb. Much as I’m a fan of Michael Gray, he got that very wrong. Slane ’84, stunning experience, my first big gig, first time seeing Dylan, got the noisey audience tapes later, stunning acoustic sets, major rewrites of ‘simple twist of fate’ and superior version of Tangled. This album could be better, but the experience, thrill and memories of that day will never fade, I hope. The review nails the essential truth of this album: it misrepresents the tour as a whole. He did performances with Santana, and far more interesting songs in general than many on this album. I disagree with his opinion about “Tangled Up In Blue,” which I think is a highlight, but overall this could have been great but it’s like they just grabbed a few performances at random to make the record. They release the full version of the Barcelona or Paris shows. In my humble opinion the track Tangled Up in Blue could be one of the best yet. Yes, the performance and re arrangement of the lyrics are different, but isn;t that what makes BOB great. From a purely storied perspective the lyrics work. No one could have changed that song the way Dylan did. And what the heck, if you can get 50000 people to cheer during the harmonica break….nuff said. Again, Dylan’s mood that day may have been off the charts, I think this version is quite superior. i love all these versions. I usually don’t read the articles for this reason- it’s kind of like reading a movie review before watching the movie. Sometimes the critic gives it a bad review and after one watches it, we realize that all along, we just had to watch it for ourselves. It happened here with Tangled Up In Blue. I love it. Great article though and great muic, I wouldn’t have found it otherwise. Greetings from El Paso, Texas.